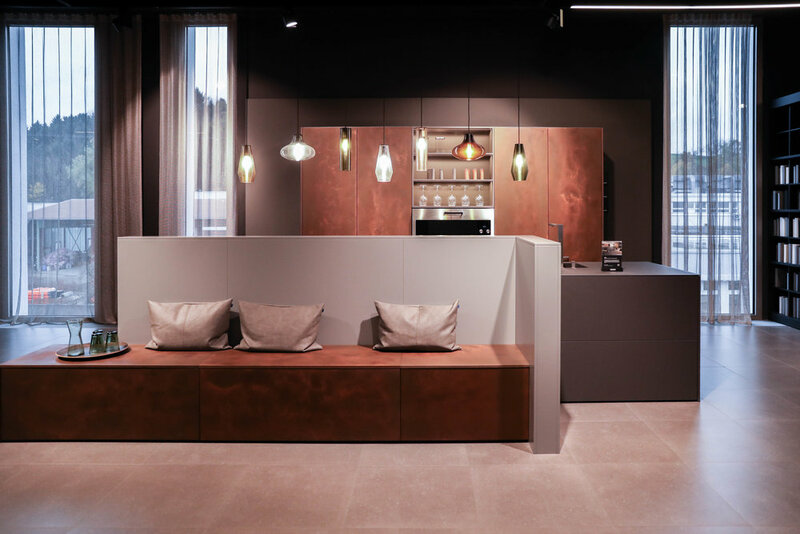 A metallic, patinated surface can have a number of different effects: LEICHT is a master at dealing with this durable material. To create fronts with the incomparable look of processed, corroded metal, the metal is sprayed on, worked by hand and then lacquered matt. 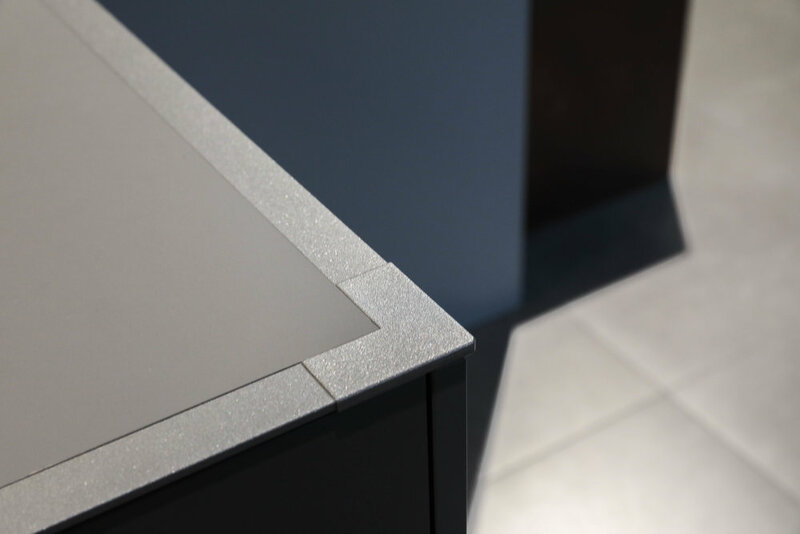 The result: natural structures and a surface pleasant to the touch.